Request Your Hard-Back Copy or Download FREE PDF Today! For the first time ever, you'll be able to calculate your Return On Conveyor Safety™ with our compilation of worldwide best practices. Conveyors are one of the best productivity-enhancing tools available, but conveyor injuries cost employers millions of dollars annually. 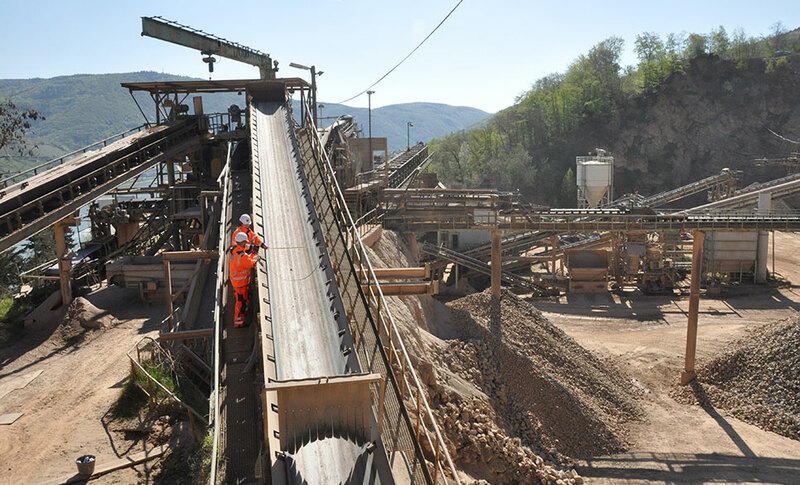 The main hazards related to belt conveyors are mechanical, including moving components that can cause damage by entrapment in nip points, abrasion and burns, as well as pinching zones that can cause damage by shearing and crushing. All of these hazards are preventable with the right training, preparation and safety precautions. Because of the size of their material cargos, the speed of their operation, and the amount of energy they consume and contain, conveyors have shown to be a leading cause of industrial accidents, including serious injuries and fatalities. In the last 10 years, safety has come to the forefront. Governing bodies are expanding regulatory pressures and requirements and enforcing large fines for violators. Martin Engineering works side-by-side with experts in all the industries we serve worldwide who are fully committed to the safety of their employees. These relationships, developed over the last 70+ years, have given us a unique perspective on the role that conveyor safety has in a company's success. We've gathered this collection of worldwide best practices together in a single resource, to demonstrate the methodology behind calculating the Return On Conveyor Safety™ so you can quantify the true value of conveyor safety. 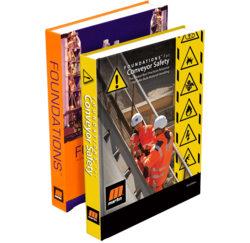 The Foundations™ for Conveyor Safety book is the world's first collection of worldwide best practices and joins our Foundations™ series of books and seminars. This comprehensive 300+ page textbook is devoted exclusively to conveyor safety. Studies show that a focus on safety improves production and profit! This book will help you ‘connect the dots' to move the topic of conveyor safety from one of individual experiences and experiments into how proven facts can be used to make huge improvements in the safety of your employees at your plant while increasing productivity. It is the purpose of this book to make these connections, to move from using negative data to using positive data to make bulk material handling by conveyors safer. That way, lives can be saved and the environment better managed while improving productivity and profit. "To me one of the main uses of the book will be to help answer this question: 'How do I convince the boss that safety pays?' Budgets are managed so tightly that no manager wants to risk spending now to save later. So when a project is presented based on reducing direct costs, it has become a tough sell." By 'connecting the dots' we'll show you how to calculate Return On Conveyor Safety™ (R.O.C.S.™) and create a safety culture at your plant and improving maintenance activities to make a significant improvements in conveyor safety. By applying current best practices, understanding human nature and changing our approaches to design and training, we'll show you how to proactively take advantage of the relationship between safety, productivity and profit. You'll learn why Production Done Safely™ is our new mantra! The reason Martin Engineering has written this book is to show the ways that belt conveyors can be operated, maintained, built and designed to eliminate or otherwise control the risks. 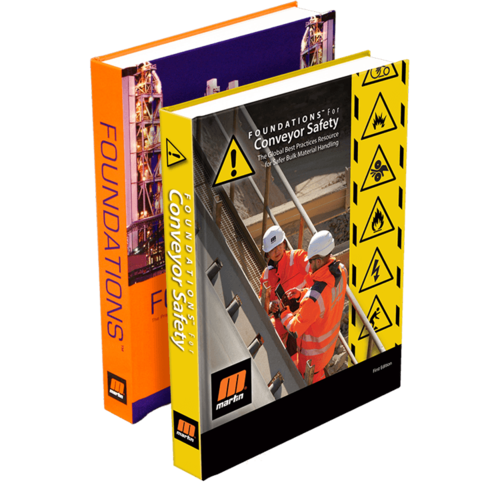 Foundations For Conveyor Safety is a 300+ text book, consisting of 35 chapters broken into six sections. Examine the need to improve conveyor safety and introducing the mission: Production Done Safely™. An introduction into the hazards of belt conveyors and unsafe work practices around conveyors. Examines switches and sensors, alarms, signage, conveyor guards, conveyor fires, access and other safety solutions designed to protect workers and increase production. Discuss best concepts to working safely around conveyors, dealing with conveyors, fugitive material and cleanup and conveyor safety training. Includes the Conveyor Safety Census, risk assessment using CEMA methodology, root cause analysis and job hazard analysis. Learn what to consider when preparing typical specifications for Cleaner, Safer and more Productive Conveyors. Connect the dots and calculate the payback for Safety at your plant. Todd Swinderman joined Martin Engineering as a Conveyor Products Engineer eventually becoming General Manager, President and CEO. 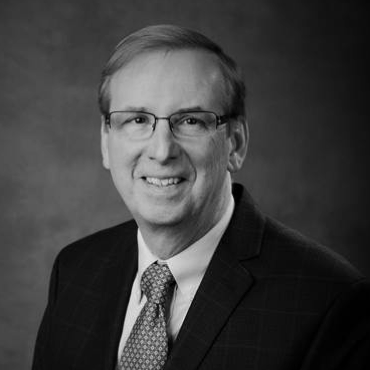 His vision and leadership have focused on developing innovative solutions for bulk material handling and expanding the company's capabilities around the world. Todd holds over 60 US patents in the field of bulk material handling. 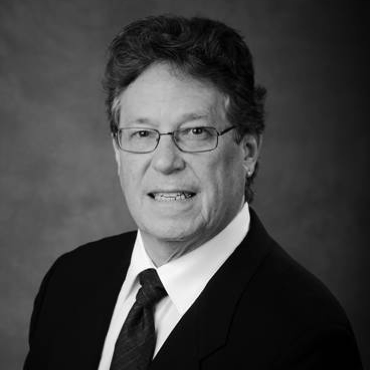 After retiring from Martin Engineering in 2012, he formed RToddS Engineering, LLC providing consulting and training services to customers around the world, helping engineers and operators design safer and more efficient conveyors. Swinderman has been active in the Conveyors Equipment Manufacturers Association [CEMA] as an officer, committee chair, President and as the chief editor behind the updated sixth and seventh editions of BELT CONVEYORS for BULK MATERIALS. Todd is active in the ASME B20.1 committee on conveyor safety and has been a leading author of all of Martin Engineering's Foundations books. Todd graduated from the University of Illinois in 1971 with a degree in mechanical engineering and prior to joining Martin Engineering in 1979 as a product engineer, Todd worked as a Maintenance Engineer for a major building products company where he was exposed to many different processes requiring bulk materials handling. Andy Marti has more than 20 years of experience in writing about the problems and solutions in bulk-materials handling. He has served as coordinating author and edition for all four of Martin's Foundations™ books on improving the performance of belt conveyors and transfer points. Marti holds a B.A. in Journalism from Central Michigan University and an M.A. in Communications Media from the University of Northern Iowa. A self-described 'numbers guy,' Daniel Marshall holds a Bachelor of Science in Mechanical Engineering from Northern Arizona University. 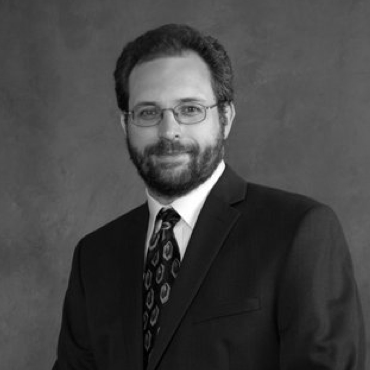 He joined Martin in 2000 as a Research and Development Engineer. In that role, Marshall contributed to the design of numerous conveyor products. After two years, he moved into a product engineer role. In that fourteen year role, Marshall worked on the design and manufacture of every conveyor product that Martin has to offer. He is now in a quality assurance role, ensuring that all Martin Engineering products are of the highest quality before shipment. Marshall has had extensive experience with conveyor belt accessories and their application. In addition to his office experience, his field experience allows him to effectively speak to various safety concerns in the conveyor products industry.